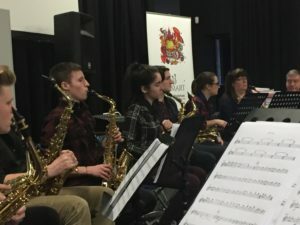 JazzSmart workshops are trying something new for 2019. We are running a Saxophone Ensemble weekend on June 15th & 16th at Chichester University. There will be the opportunity to play in a Sax quartet as well as Saxophone Choir and established ensembles are welcome as well. The course will be led by Hampshire based performer and teacher James Rawlinson. He will be joined by Andrew Blee who will be on hand to work with less experienced players. If you can play to ABRSM Grade 4 level and above, this course is for you. If you are unsure of your ability please get in contact with us and have a chat.